Come and build miles in the North Sea and East coast of the Uk. You can crew or 1st mate, watch keeper or just helm. Build those all important passages over 60 miles some by night. See shipping and new ports experience living at sea. 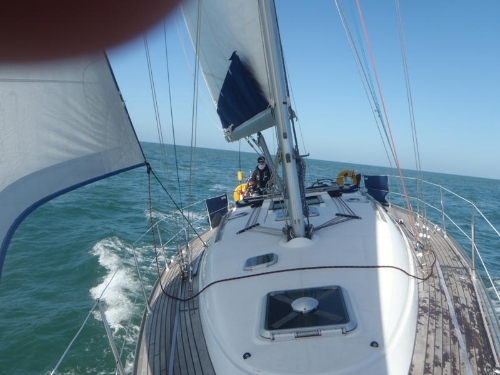 Hamilton sailing has run trips every year and they are extremely good value for money and lots of FUN. Includes all moorings, fuel, skipper & food. Sailing from Neptune Marina Ipswich "free parking"
areas in the world !